6057 Centreville Crest Ln, Centreville, VA 20121 Kabob Express Open since 1996, Our fresh ingredients, delicious recipes, and clean, friendly atmosphere is one of a kind and a leading brand in the industry. 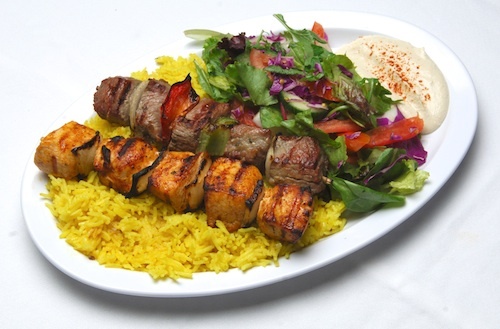 Our method of cooking over an open flame grill adds a special touch to flavor, texture, and healthiness of our kabobs. The open flame method of cooking allows the excess fat from the meat melt and drip right in to the grill to leave you with a very tasty and super healthy meal. Every plate is made and assembled to order. There are no microwaves or heat lamps. Our recipes are made with fresh ingredients purchased locally and prepared to perfection in house.